strict warning: Only variables should be passed by reference in /home/healxikq/public_html/modules/book/book.module on line 559. The Medicine of the Future? A Cure for Cancer? Dr. Ryke Geerd Hamer’s theories, based on extensive research involving tens of thousands of cancer patients and his own personal experience, deserves inclusion in this report because of the profound implications it has for healing disease in the 21st century. “The New Medicine” and its basic premise offer real hope and the possibility of a cure for most types of cancer, and other diseases as well. In 1978, after 15 years as an internist, oncologist and professor of medicine in Germany and Italy, Dr. Hamer’s son, Dirk Hamer, was shot during a random act of violence. Dr. Hamer was awakened during the night with this traumatic news. He attended his dying son for 3 months, remaining in a state of shock and disbelief. Within the year after his son’s death, Dr. Hamer discovered that he had developed testicular cancer and being a scientist who had been healthy his entire life, he began to search for what seemed to be a plausible connection between his illness and the painful shock of his son’s unexpected murder. His wife developed cancer as well. He asked himself whether it could just be coincidence that all of this had happened. Thus began Hamer’s journey toward the complete rethinking of long-accepted medical theories about how and why disease develops within certain individuals, about how healing really happens and why many times it doesn’t when patients rely on allopathic medical treatments. From Dr. Hamer: I believe that the knowledge of the New Medicine is the legacy of my dead son, Dirk. Through his death I myself became ill with cancer. With an honest heart, I have the authority of this legacy to pass on to all those stricken with disease so that they, with the help of the New Medicine, can understand their disease, overcome it and recover their health. Even as he was fighting his own battle with cancer, Dr. Hamer continued practicing as the Chief of Internal Medicine at a Gynecology-Oncology clinic at Munich University in Germany. He now began to look much more deeply into his patients’ stories and test results. In every case, he found he could trace the development of cancer to a severe emotional shock or loss that generally occurred within a year or two before the diagnosis. He began calling these triggering events the “Dirk Hamer Syndrome” or DHS events in honor of his dead son. I had the opportunity to study female patients with cancer and to compare my findings to see if their mechanism was the same as mine; if they too had experienced such a terrible shock. I found that all of them, without exception, had experienced the same type of biological conflict as I had. They were able to recollect the shock, the resulting sleeplessness, weight loss, cold hands and the beginning of tumor growth. He soon began to correlate his theories with other diseases as well and not just cancer. The result of his research is the creation of the “Disease Chart,” which accurately describes the biological conflict cause of each disease, the exact location in the brain the focus is found, how the disease manifests in the “conflict active phase” and how it manifests in the “healing phase.” Should Hamer’s theories continue to receive scientific corroboration, this may indeed constitute the foundation for a New Medicine in the world. What is a Biological Conflict? Cancer does not begin in the body; cancer begins in the brain. And how do “spontaneous remissions” happen in nature? In exactly the same manner as a longer term healing process. When the patient’s biological conflict situation finally gets resolved—whether naturally as life changes and adaptation occurs, or after significant conscious effort—then the turning point is reached. In many cases, this healing process is not without its challenges and dangers as well, but the tide has definitely turned in the right direction. Of course this theory, although well researched with 20,000 case studies, validated with CT (computed axial tomography or CAT scan is an image of the soft tissues of the body) scans and containing compelling evidence, was something completely new within standard medical practice. When Hamer presented his discoveries to his colleagues, they demanded that he deny his findings or leave the university immediately. He chose the latter course—and continued his research--although the unjust dismissal haunted him for years. And it was to get even worse. 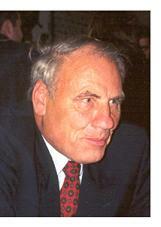 Hamer next submitted his research to the University in Tubingen in October 1981 as a post-doctoral thesis. His primary intent was to create the opportunity for his results to be tested as soon as possible so they could begin to benefit cancer patients. In May 1982, the University rejected Hamer’s work without testing even a single case for reproduction—and to this date they continue to refuse. In the ensuing years, he repeatedly attempted to open a clinic where patients who chose to could utilize his methods, and each time he was legally prevented from doing so. The criticism (perhaps “persecution” would not be too strong a word here) reached its peak in 1986 when an action was begun to stop Hamer from practicing medicine on the basis that he "failed to deny his findings and failed to convert to the tenets of official medicine." This judgment was handed down after a single hearing. Hamer was subsequently forbidden to talk to patients and he was advised, at age 51, to find a new profession, unrelated to medicine. He was even jailed for 18 months for providing information to patients about his “New Medicine.” His career as a physician appeared to be over. Hamer continued his research on a limited basis, being now denied any kind of financial, technical or administrative support. He finally took the University of Tubingen to court and won and the University was ordered by the court to conduct studies about Hamer’s findings. To date they have not done so. Since he believes very strongly that current methods for treating cancer (surgery, chemotherapy and radiation) are barbaric and completely ineffective on any kind of long-term basis as well—he has very few supporters within the conventional medical community. As incredible as it sounds, Hamer and his supporters describe their series of empirical findings based on 31,000 case studies as all (without exception!) exhibiting this same pattern of disease development. In other words, not one exception to the theory was uncovered. In fact, several supportive studies have now been accomplished with European institutions, the latest being the 1998 examination at The University of Trnava, Slovakia. Note: There is a great deal of information of a highly technical nature available about Dr. Hamer’s theories and set of five “biological laws,” which is not included within this report. Many of his ideas are diametrically opposed to conventional medical knowledge, such as his statement that tumors cannot metastasize, so be forewarned. You will need to proceed with an open mind, however the information is fascinating and thought-provoking. “We do not develop either intra-ductal or breast gland cancer without reason. The specific nature or feeling behind the conflict will determine precisely what brain location will receive the impact of the conflict-shock (DHS) and whether it will be the duct or the gland affected. Breast gland cancer has to do with the woman’s nest in the sense that she has a "worry", "quarrel or argument" going on in her nest. The worry could be over a health concern of a loved one, or even being thrown out of the nest by her mother! The overall issue concerned however is really a separation from a loved one. As Dr. Hamer’s theories are finally being investigated and seriously considered in Europe, so too are they beginning to be discussed here in the United States. A new organization as of June 2004, the Meta-Medicine Academy, based in large part on Hamer’s work, has been created in California to explore the natural laws that govern disease, health and healing: The “big picture” around how disease and healing truly happen. This is an education and research organization that will offer seminars and trainings, including a certified “health coach” training program for practitioners wishing to specialize in this approach. What are the causes of disease? How exactly does body-mind-spirit work together? What is the process and flow of a disease? How do our organisms work as holistic, integral systems? What biological laws and principles can we research from a meta-level? What are the phases and cycles of a disease? What is a healing crisis and when does it appear? Is there a deeper meaning to all disease? What therapy works best for what disease in what stage? How can we define and formulate true holistic health prevention? with the knowledge of the Meta-Medicine ? be developed incorporating the Meta-Medicine? There are introductory seminars scheduled in California, Germany and the United Kingdom. Consult the website (www.metamedicine.info) for details and to be put on their mailing list if you’re interested. In conclusion, the following article and summary of Dr. Hamer’s work, is reprinted with permission from the British newsletter, “What Doctors Don't Tell You” Volume 13 No. 10 January 2003 (www.wddty.co.uk). The author of the article is Pat Thomas, Contributing Editor. One of the most recent studies on psychosomatic cancer therapy comes from Germany. Over the past ten years, medical doctor and cancer surgeon Ryke Geerd Hamer has examined 20,000 cancer patients with all types of cancer. Dr. Hamer wondered why cancer never seems to systemically spread directly from one organ to the surrounding tissue. For example, he has never found a cancer of the cervix and cancer of the uterus in the same woman. He also noticed that all his cancer patients seem to have something in common: they had all experienced some kind of psycho-emotional conflict prior to the onset of their disease, a conflict that had never been fully resolved. On the basis of these 20,000 examinations, Dr. Hamer has come up with some revolutionary information. In all these cases, X-rays taken of the brain by Dr. Hamer have shown a dark shadow somewhere in the brain. These dark spots are located in exactly the same place in the brain for the same type of cancer. There was also a 100 percent correlation between the dark spot in the brain, the location of the cancer in the body, and the specific type of unresolved conflict. These findings have lead Dr. Hamer to suggest that when we are in a stressful conflict that is not resolved, the emotional reflex center in the brain that corresponds to the experienced emotion (for example, anger, frustration or grief) will slowly break down. Each of these emotion centers is connected to a specific organ. When a center breaks down it will start sending the wrong information to the organ it controls, resulting in the formation of deformed cells in the tissues - in other words, cancer cells. Dr. Hamer also suggests that metastases are not the same as cancer spreading. It is the result of new conflicts that the stress of having cancer, or of having to undergo invasive, painful or nauseating therapies create. When Dr. Hamer started including psychotherapy as an important part of the healing process, he found that when the associated conflict was resolved, the cancer immediately stopped growing at a cellular level. The dark spot in the brain also began to disappear, and the diseased tissue came to be replaced by normal tissue. According to Dr. Hamer, research in Germany, Austria, France, the US and Denmark has confirmed his findings – that emotional conflicts create cancer, and solving the conflicts in question stops the cancer growth. There are lectures and seminars scheduled and listed on the website, to be conducted by a New Medicine teacher and therapist trained and approved by Dr. Hamer. These are reasonably priced and accessible in the U.S. or Canada if you’re interested.